Google has an app rolling out around the nation that helps companies manage leads. It is designed to connect customers with local businesses to book jobs in your area. The companies only pays when they receive a call. 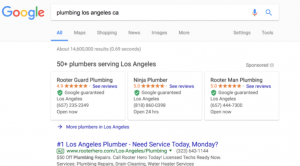 Google Local Services caters to specific service industries. Some of these industries include plumbers, electricians, HVAC and cleaners. The industries vary by market. 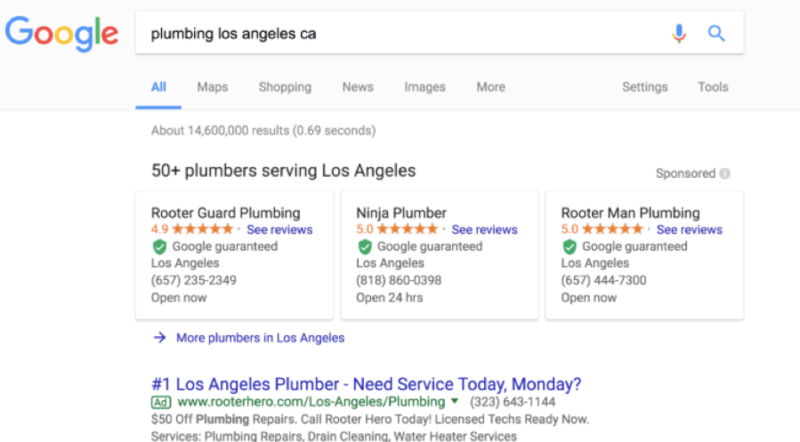 When a potential customer searches for a service, they see three Google-certified companies above the traditional paid search ads. Google certifies a company’s work up to $2,000 at Google’s expense. The green check on the three top boxes (picture below) means that a company has been certified. In order for a company to be certified, it has to pass a background check and have its license confirmed. There is no expense to the company for this. Certification requirements vary by industry. There is no optimizing, like with a Search or Display Banner campaign. For more information or if you are interested in getting started with Local Service ads, the URL below will help. From Sprint to Starlight and Ace Hardware to UMB, Charity has been working to make a wide variety of great brands shine for 17 years now. And she’s not just flexible professionally – she also balances a full life of raising a wonderful son and being our resident yogi.